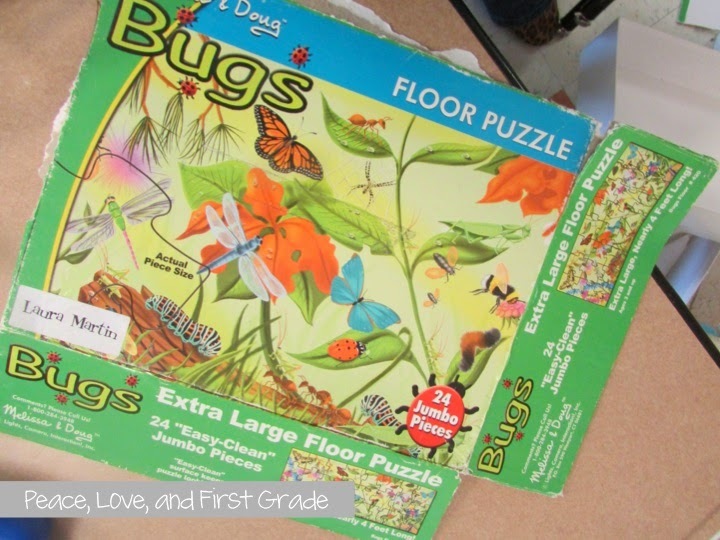 If you teach lower elementary, chances are you have puzzles in your classroom. 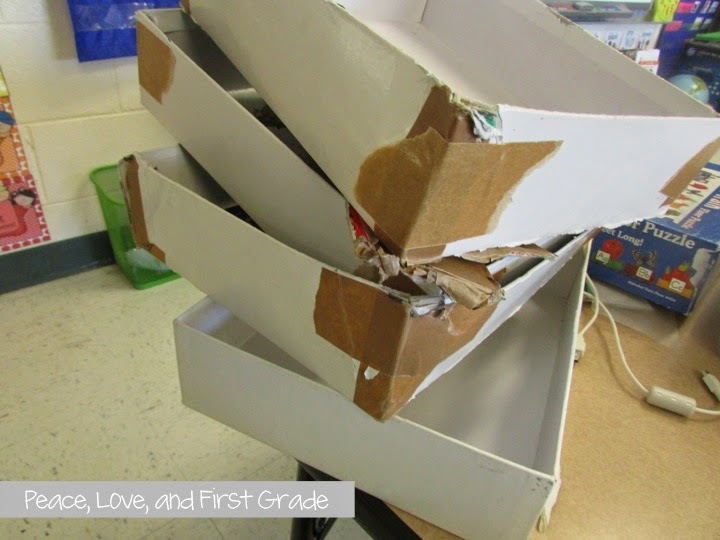 or unsuccessfully tried to repair broken boxes. How DO they get that way??? 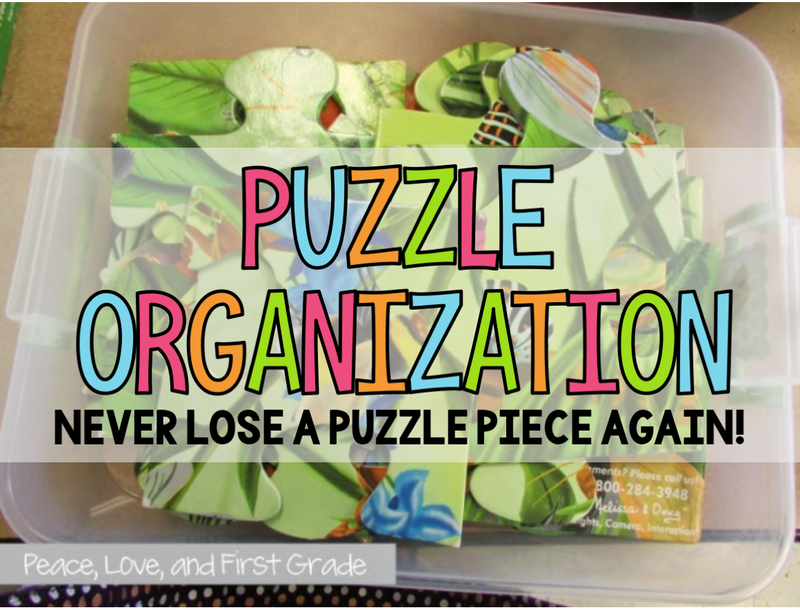 I want to share with you how I FINALLY organized my puzzles. 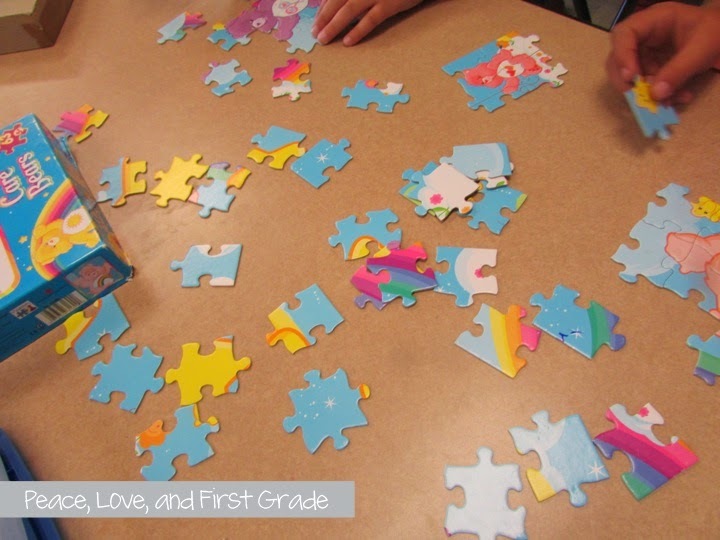 1) Have your students put the puzzles together and check for lost pieces. 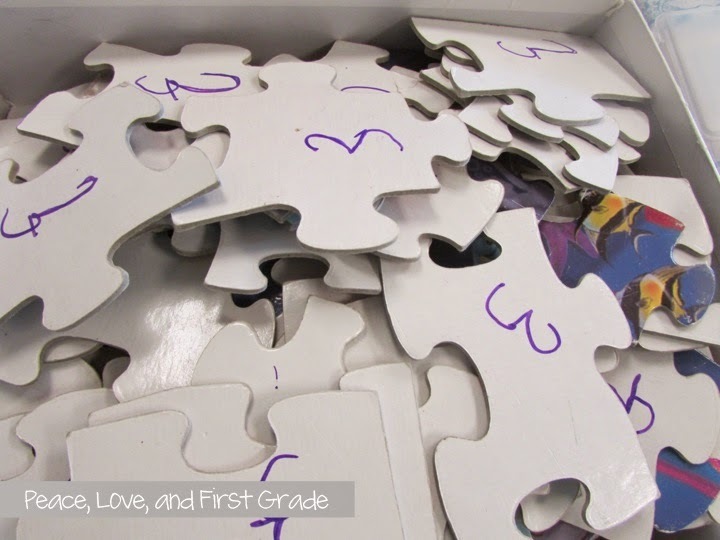 2) Once the puzzles are put together, assign each puzzle a number. AND THE INSIDE COVER OF THE BOX. Whenever we find a lost puzzle piece, we know right where it goes! and replace them with plastic containers. 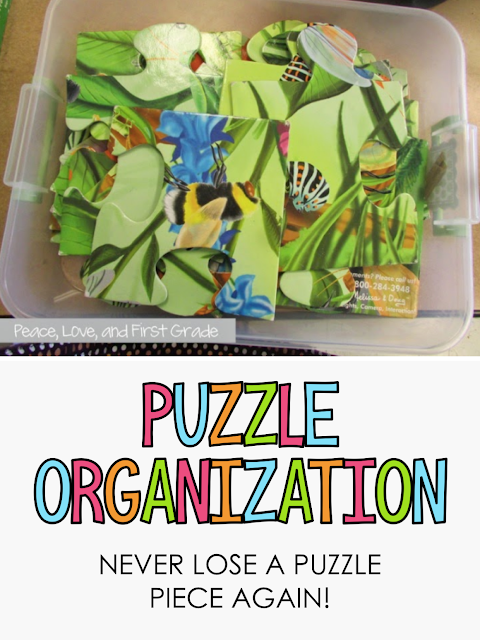 Move the pieces to your new puzzle containers. 4) Cut out the front covers and place in the plastic containers with the puzzles. Then place the tops on the containers. 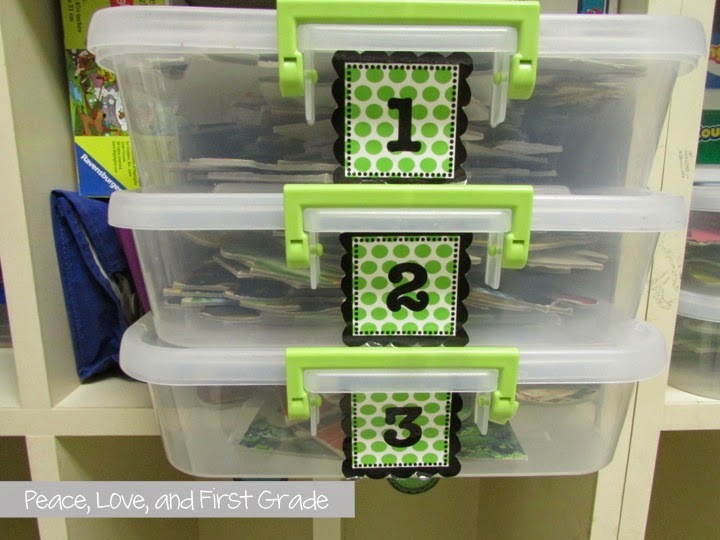 5) Number the containers to match the puzzle inside, then put those babies on the shelf! 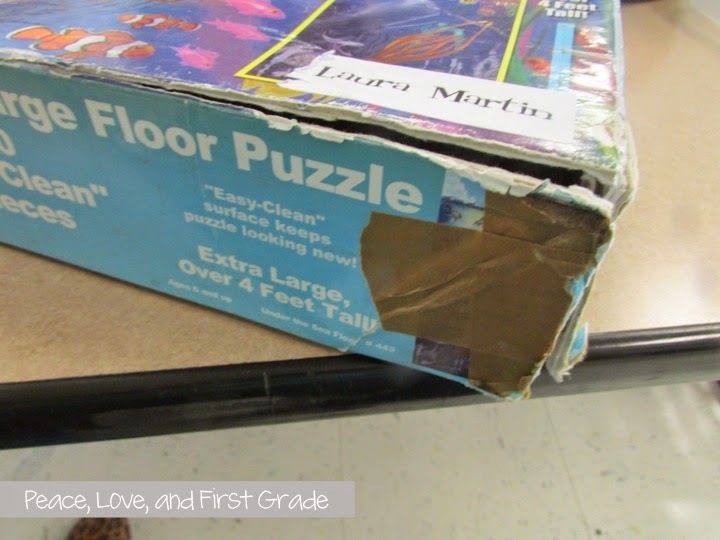 FYI: This year, I plan to put the number AND name of the puzzle on the outside! 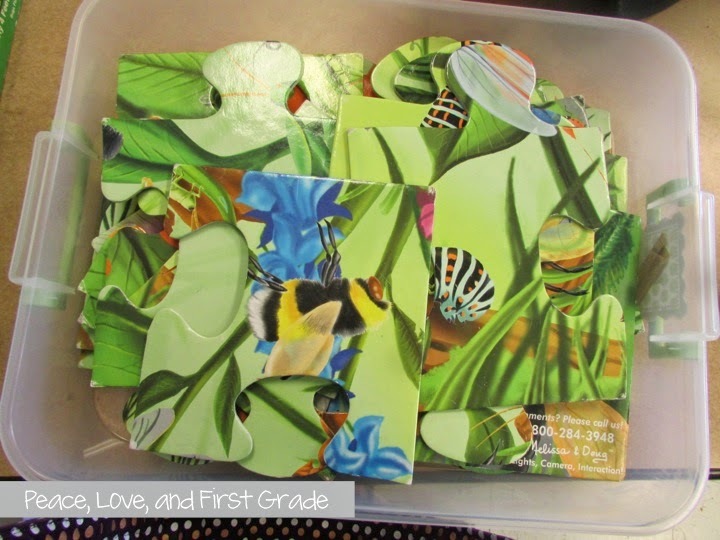 Now the puzzles are ready for the kiddos to use! That's it, friends! Super Easy! 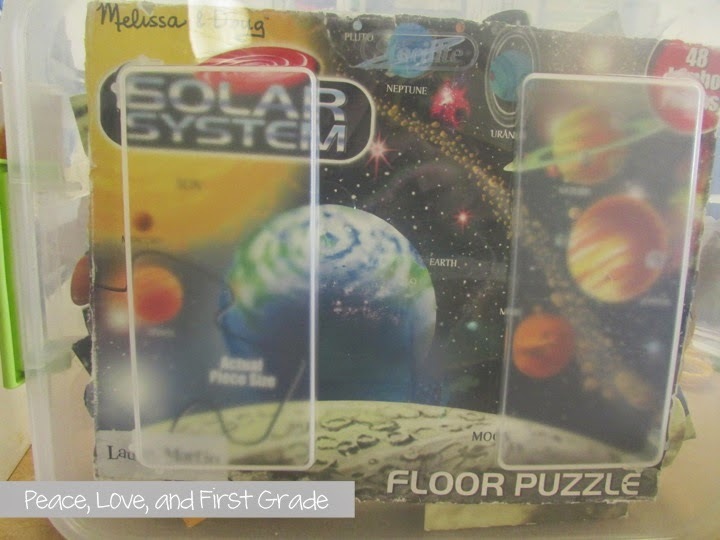 This system has been a life saver in my classroom! Give it a try! You'll love it, too!